Unfortunately, Seafood Fest has been canceled for 2019. Instead, join us for the Spring Fling on April 19th. Beach driving conditions are awesome this morning and the waves are about 1-2ft but expected to build to 3ft. 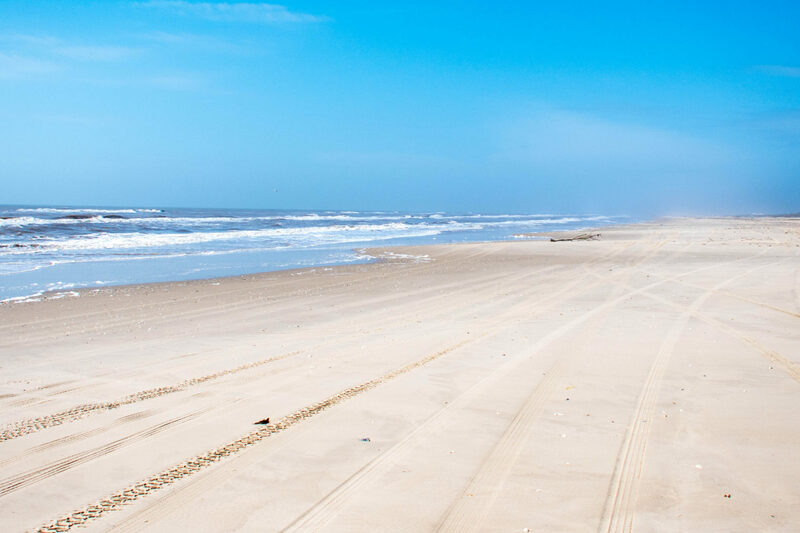 County workers are grading and prepping the beach entrance for spring break so you should be able to drive onto the beach in a 2wd vehicle on Saturday. Heavy traffic this weekend will likely tear up the entrance by Saturday evening but there will be plenty of fellow spring breakers in 4wd willing to help you out if you get stuck. We are predicted to have some rain this weekend so this should help out the driving conditions. The full moon will bring high tides on the beach in the late afternoon and evening so check the tide forecast before you go. Don’t fear the weather forecast – Often it is raining inshore but sunny and beautiful on Matagorda Beach and over the bay. There are plenty of events happening in Matagorda this weekend. Seafood Fest is in town at Fireman’s Hall from 11-5pm. There will be vendors, great seafood, bands and a lot of fun. Stop by and check it out. Sunset Yoga will happen on March 13 from 6:30-7:30pm at Jetty Park. Many of our restaurants, shops and bars are having bands and specials this week. Visit Matagorda Beach for more information on the beach, current weather conditions and regular beach reports. Spoonbills will reopen after their winter break on Monday March 5. Come out and enjoy some of the best food & wine Matagorda has to offer. We are happy to announce our friends at Poco Playa have reopened after a fire damaged the building late last year. The restaurant has a new look and the menu has been updated. Please stop in and try out the new Poco! 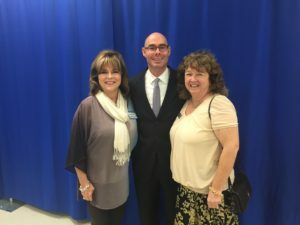 Two members of the Matagorda Chamber of Commerce Board attended Matagorda County Day in Austin to meet with State Legislators and discuss issues that affect Matagorda. Yoga is offered in Matagorda, Texas both by Serenity Matagorda Isle & Matagorda Adventure Company. We believe all persons can benefit from yoga & design our classes so that even someone who has never taken yoga or hasn’t exercised in a while can participate. Yoga practice creates strength and flexibility in the physical body, but it also creates a sense of total awareness, promotes mental clarity, and aids in relaxation. We do recommend you talk with your doctor before starting any exercise program. When going deeper in a pose or stretch, exhale. When you exhale, the lungs empty, making the torso more compact, so there is less physical mass between your upper and lower body as they move toward each other. The heart rate also slows on the exhalation, making it less activating than an inhalation and inducing a relaxation response. When expanding the body, inhale.In a heart-opening backbend, for instance, you increase the space in your chest cavity, giving the lungs, rib cage, and diaphragm more room to fill with air. And heart rate speeds up on an inhalation, increasing alertness and pumping more blood to muscles. Poses that lift and open the chest are often the practice’s energizing components, so synchronizing them with inhalations takes optimum advantage of the breath’s effects on the body. When twisting, exhale. In twists, the inhalation accompanies the preparation phase of the pose (lengthening the spine, etc. ), and the exhalation is paired with the twisting action. Posturally, that’s because as your lungs empty there’s more physical space available for your rib cage to rotate further. But twists are also touted for their detoxifying effects, and the exhalation is the breath’s cleansing mechanism for expelling CO2. Listen to your body. It will tell you when to push forward and when to slow down. Let your teacher know before class if you are pregnant or have injures. Modified poses that keep you comfortable and avoid strain can be recommended.It’s OK to take a break. Feel comfortable doing so and remember everyone’s yoga path is unique. Wear comfortable clothing you can move in. From sweats to shorts and t-shirts, make sure your clothes won’t get in the way and offer the most mobility. You’ll sweat for sure, so synthetics are generally the best bet. Yoga Tip #5: Show Up to Class! Our energy levels & motivations can vary by the day & that’s quite ok. Just show up on your mat & do your best! Your body will thank you. The more you practice the faster you will see results, even if today’s practice isn’t as strong as last week. It’s about PROGRESS, not perfection. Yes! Many beginning yogis come to their mats wearing socks. You’ll be less stable in the standing poses with socks — so take those suckers off! Don’t compare yourself to other yogis in the room and don’t judge yourself for not being able to do all the poses. Take things at your own pace. Really! This isn’t a competition. Take a break anytime you need to catch your breath by taking Child’s Pose (this relaxation pose will be covered in every class). You may over exert yourself or completely fall out of a pose. No worries! That’s part of the process and the fun of it. Laugh it off, kick back into Child’s Pose or give it another shot. Yoga is a progression, so you don’t want to miss the warm-up by arriving late or skip out early and miss the most important (and yummy) pose of them all: corpse pose. looks like adult nap time, but its feels wonderfully relaxing. It is designed to give the body a chance to regroup and reset itself after a practice. It’s okay to take sips of water during class. The importance of hydration cannot be overemphasized, as a hydrated body allows the joints to move more fluidly & can help prevent injury. Drink water both before, during & after class. For those of you that have been waiting for the water to warm up; it’s time to head to the beach. The weather is in the 80s during the day here on the beach and the water temps are hanging around 78 degrees. Matagorda has even more to offer this year. Two new businesses have opened to serve visitors to Matagorda. 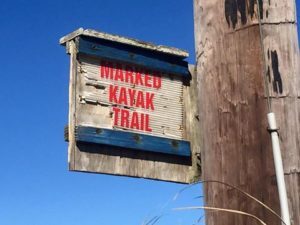 Matagorda Adventure Company offers kayak and stand up paddleboard rentals, guided tours and classes. They will deliver and pick up your rental equipment at the paddling site of your choice. The Purple Palm is an inn and boutique located on highway 60. They have clothing, fishing gear, art and other unique items. The inn accommodates up to 6 people. The floors have just been refinished and the claw foot tub installed. In addition to these two new businesses, there is plenty of shopping, history and great eating in Matagorda. Come down for a weekend on the beach and try it Matagorda style!